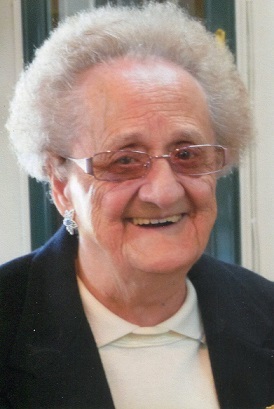 Our beloved mother, grandmother, great grandmother and friend passed away peacefully Monday, January 21, 2019 at McLaren Bay Region, age 97. Marcella was born July 31, 1921 in Bay City to the late Joseph and Gertrude (Machelski) Zielinski. She married Maurice A. Gwizdala on August 9, 1941 and he predeceased her on December 19, 1998. She worked for many years at Graphic Metals, Inc. and later retired from Steering Gear. Marcella was a member of OLC Parish-St. Stanislaus Church, the Rosary Society, Felician Sisters Auxiliary and the UAW Local #699. She enjoyed trips to the casino and to crochet while relaxing. Surviving are three children: Joyce (John) Nichols, Buck Gwizdala and Darlene (Larry) Rakowski, 12 grandchildren and one great grandson. Marcella was predeceased by three sons: Mike, Joseph and Richie Gwizdala.